Probably because of the Ethereum stratum proxy they have released that improved the coins earned, but other pools have also added support later on or implemented their own stratum solutions… people are probably just too lazy to switch pools when everything is working well and they are happy with the results. Some of the other pools had various issues along the way, or lower than expected profit etc. Makes sense, and thought that would be the case. Set it and forget it. They offer twitter notification on new blocks. Furthermore drop a mail to the admin, and they monitor your workers and notify you if the go down. 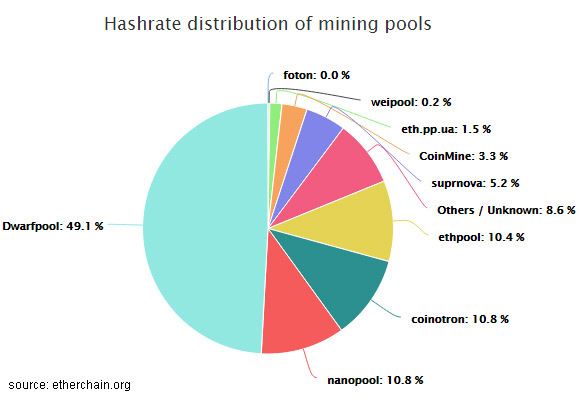 Our pool minerall.io gives up to 30% more than others, tested and proven.